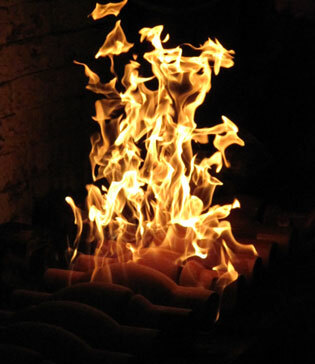 WB White Foundry offers the services of an iron foundry with more than a particular skill and competence. WB White Foundry has had the foresight to move with the times under a strict policy of continual development and professionalism. 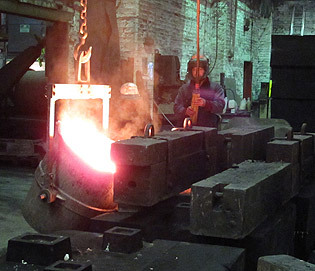 WB White Foundry has a team of experienced engineers and pattern makers who can advise on casting design, material specification and pattern equipment types from the very outset of a project. This expertise and level of customer care at the early stages results in improved design and finished cast products. WB White's in house pattern shop provides a highly skilled team of pattern makers capable of manufacturing and modifying all types of pattern equipment. Production systems are monitored throughout the manufacturing process with in-depth technical controls being exercised at each of the moulding and melt stages. The quality control begins at raw material stage and continues throughout the works, operating in all aspects of manufacturing up to and including the delivery of finished castings. An efficient and attentive after sales backup service reinforces the total commitment to customer satisfaction. WB White Foundry specialises in both Furan (air set) and Green Sand production. 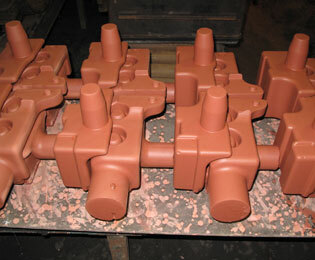 Furan production uses furane resin to bond sand moulds for all sizes of castings. This process allows infinitely variable casting to take place, facilitating both small intricate designs as well as large castings (usually up to 1000kg). The mould production for this centres around two high speed ISS mixers coupled to an ISS sand reclamation system. The Green Sand production plant specialises in the manufacture of batch repetition castings in quantities that very from 30 to 1000. Castings can be produced from 0.5kg through to 35kg on two high compaction moulding machines utilising three separate box sizes for maximum pattern layout flexibility: 480mm x 380mm, 460mm x 460mm and 530mm x 480mm. Both systems are supplied with molten metal from either our Cupula Furnace supplying iron at a 3 tonne per hour capacity or from our Morgan Gas Furnace supplying aluminium at 160kg per hour capacity. WB White Foundry has fully modernised dressing facilities that allow all castings to be shot blasted and fettled to a very high standard. Rigorous inspection takes place at all stages of finishing with a minimum of full visual inspection by qualified casting inspectors. Further to this, pre delivery mark out hardness testing and crack detection tests are available to assist in maintaining complete customer satisfaction and continuing confidence. On site painting facilities are provided and shrink wrapped palletised deliveries can be arranged if required.